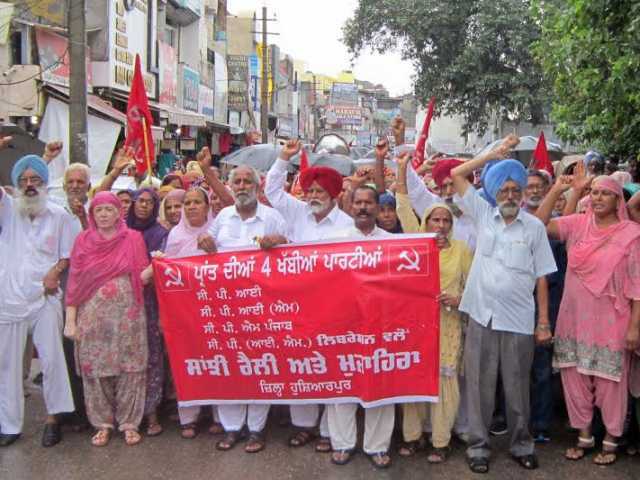 The first phase of protest action programme launched by Four Left Parties – CPI, CPI(M), CPM Punjab & CPI(ML) Liberation in Punjab against the draconian black law “Punjab Protection Of Government And Private Properties Damage Act - 2014 “ enacted by the Badal government and for settlement of other burning demands of the people concluded today with dharnas and protest rallies in five districts of Ludhiana, Ropar , Hoshiarpur, Gurdaspur and Muktsar in which thousands of peasants, youth, women, agricultural workers and industrial workers participated. At Ludhiana Comrade Charan Singh Virdi, Secretary, Punjab State Committee, CPI(M) while addressing a rally said that this bill has been passed by the Akali-BJP government to suppress the rising anger and discontent among the people against the anti people policies and misdeeds of the government. 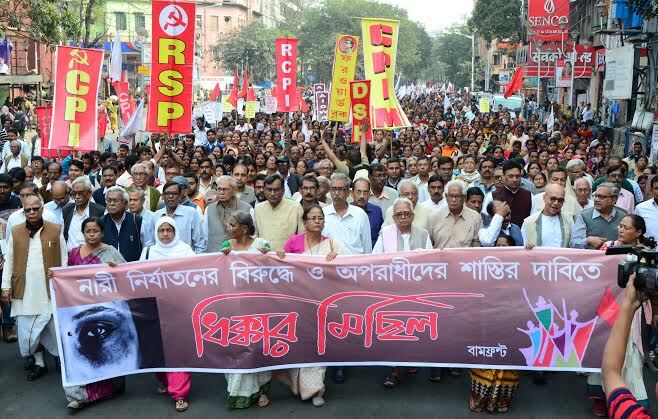 Com Mangat Ram Pasla , Secretary, CPM Punjab condemned the RSS and for disturbing communal harmony and attempting to damage to secular fabric of society Com. Kartar Singh Buani, District Secretary, CPI and Com. 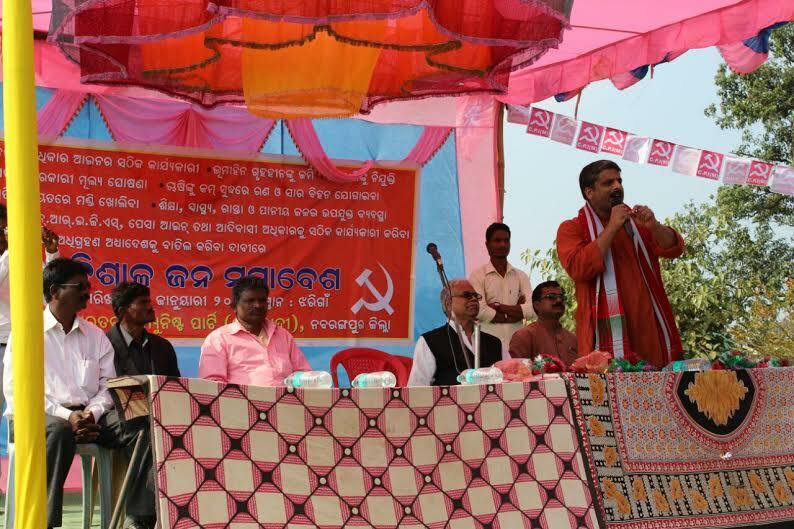 Amarjit Mattoo , district Secretary, CPI(M) also addressed the rally. At Hoshiarpur , Com. 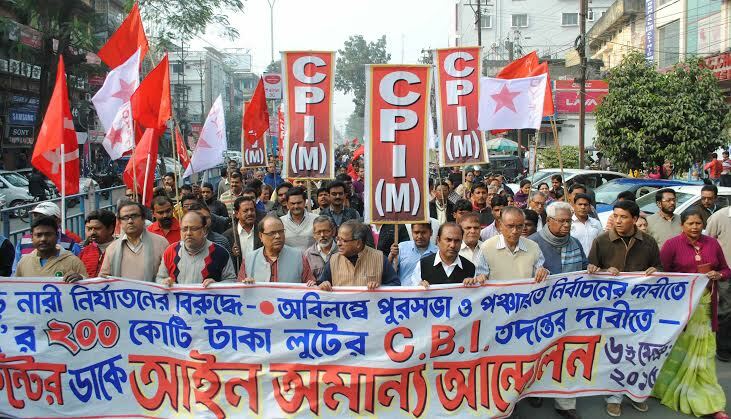 Gurmesh Singh, State Secretariat Member, CPI(M) , Com. 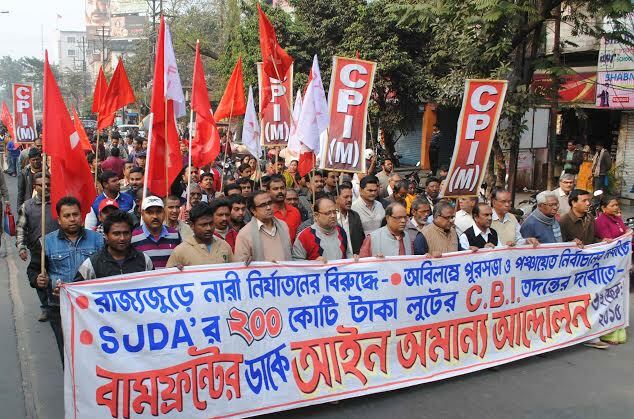 Devinder Singh , CPI , Com. Harkanwal Singh, State Sectt. 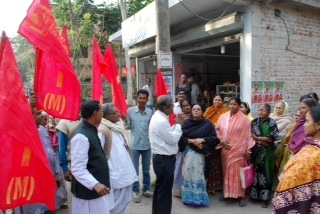 Member, CPM Punjab and Com. 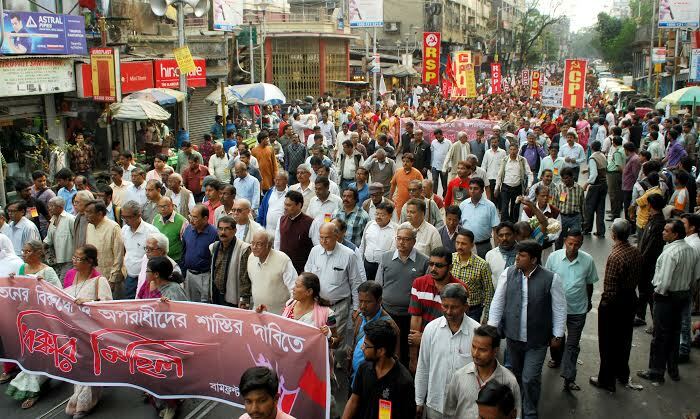 Darshan Singh Mattu , State Committee Member, CPI(M) addressed an impressive rally. They criticized the Punjab government for its failure to take action against mafia raj in Sand, Gravel, Transport and Drug smuggling. At Gurdaspur , Com. Ranbir Singh Virk, State Secretariate member, CPI(M), Com. 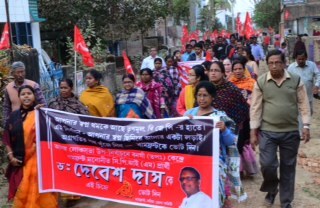 Bhupinder Samber, State Council Member, CPI and Com. Lal Chand , State Committee Member, CPM Punjab called upon the people to get prepared for a long drawn struggle to achieve their long pending genuine and just demands. They expressed serious concern over the spurt in crimes against women and dalits in Punjab. At Ropar , Com. Ram Singh Nurpuri , State Sectt. 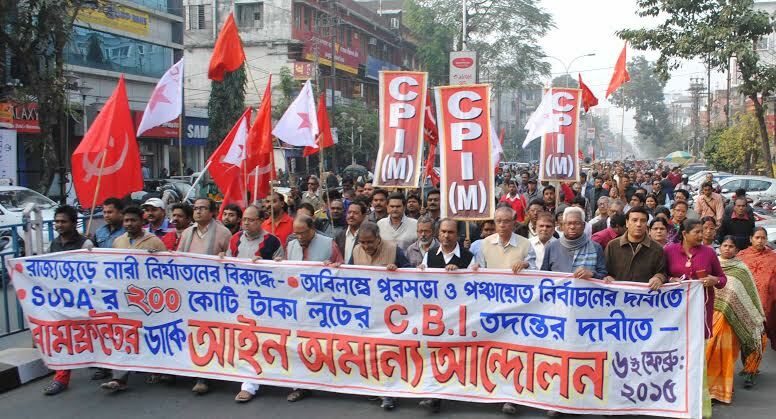 Member, CPI(M), Com. Lal Bahadur , District Secretary, CPI , Com. Tarsem Singh Bhallari, District Sectt. 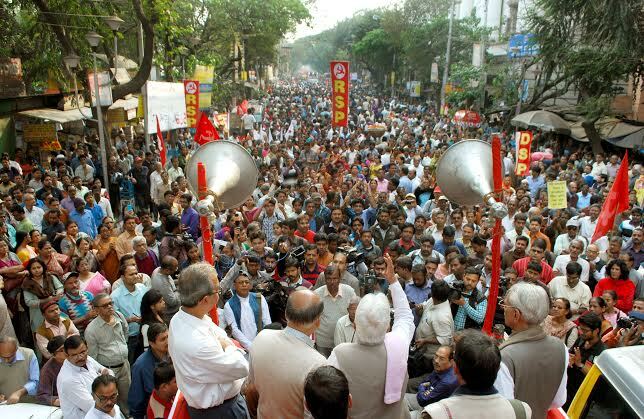 Member, CPI(M) addressed the rally.